Late last year, Coca Cola pulled their white “polar bear” cans from the market after only a couple of weeks and after a tremendous backlash from retailers and consumers. The white and silver cans, featuring silhouette polar bears, were supposed to remain on store shelves throughout the holiday season and raise awareness of and promote the protection of arctic habitats. The off-color cans received a lot of attention, but for all the wrong reasons. The white polar bear Coke cans were too similar in appearance to the silver cans of Diet Coke. Retailers and customers were confused by the change from the traditional red, and had trouble finding the regular formula Coke. Some even complained that the taste of the soda was different—all because of the color of the can! It was arguably one of the worst missteps by the infamous brand in almost thirty years. 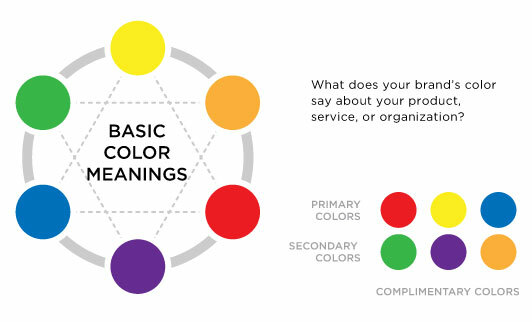 So how important is your brand’s color? The answer, as evidenced by Coke’s folly, is: Very Important. Color is a powerful signifier of a brand. When customers visually scan store shelves, they look first at color clues, then at shapes, and finally at the label or name of the brand. In every industry or category of product, brands “own” certain colors. Coke is identifiable because of its red can; Pepsi, from its blue ones. John Deere tractors wouldn’t be the same without their green and yellow paint scheme. Brown has become synonymous with UPS. The most popular color in the world among adults, male or female, is the color blue because it connotes strength, solidarity, and serenity. Among children, red is the preferred color because it’s passionate, exciting, and aggressive. Yellow is sunny, cheerful, and luminous, and tends to draw the attention of young infants.